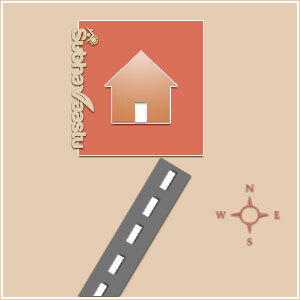 A street that hits to a house from Southeast-south side then that house is called as Southeast-south hit property or that street is called as Southern southeast street focus. If a street strikes a factory or plot on the SSE side such thrust is called SSE street thrust, this is beneficial. In some areas the street focus is called as Dristi or drusti. Most of the cases this SSE focus brings wealth. Some cases this could damage finances or creating many problems. Here observe the below three images , seems to be all are the same. Observe this image. 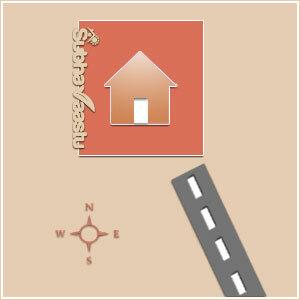 A street is hitting the house from Southeast-south, this is Southern Southeast street focus or the house may be called as Southern Southeast street focus house. What is the difference in this image and the above image. What is the difference in this image and the above two images. Color, drawing and directions are all same except one change, what is that change. Just observe double time or three times, if you did not find the change in these above images, then read the below content. All the 3 street thrusts are indeed benevolent and these are SSE street thrusts only, they bestow financial benefits to the residents. 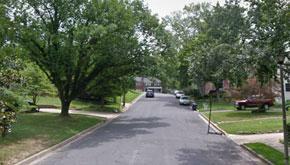 For getting the best in such situations it will be good to leave open space towards East side of the house. More space towards East and North are most beneficial to the inhabitants. 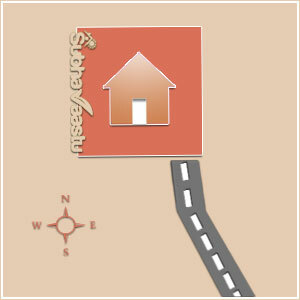 In the absence of such a situation (Not leaving open space towards North direction) there would be dominance of ladies in the house, it is also best to have open space towards North or else female folk may suffer mental tension, mental ailments, skin ailments etc, further residents may suffer competitive business environment or themselves indulge in competition and get ruined. Please note that if the property will have more open space towards North and East for these kind of properties, the residents will enjoy the real fruits of life, also we should not forget about the surroundings influence on the property. For all these, one should not take his own decision when needs to buy a property, it is a strong recommendation that always approach one vastu consultant to have peaceful life. There are many more street focus, general look is like to be the Southeast-south street focus only. But lots of difference in results. This street focus is generally called as Southern Southeast street focus only. But results are vary when compare with Southeast-south street thrust, please note this point before going to buy the properties. 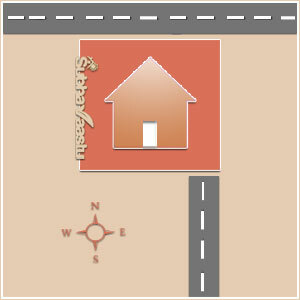 Find one Vastu Expert and ask him to visit your interested property and then only decide to buy it or not. 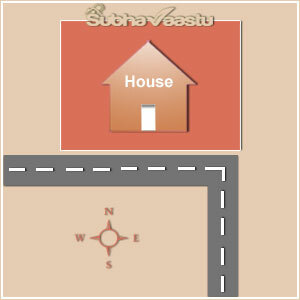 please note that the measurement of the Southeast-south street should be calculated and also requires to calculate the bend, where it starts from the house, that we have to check, if the bend is too far from the house as per veda, then after checking the remaining all surroundings and may go for buy this one, but it should done only before one competent vaastu scholar only. Many may thought that this is also a Southeast-south street focus and may be ready for consideration, if the property is 90 degrees then we should be very careful on this street focus. If the property is 60 or 120 degrees then the results may vary. 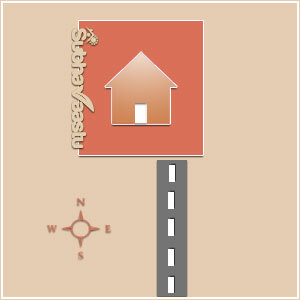 If the property is skewed then without Vastu Consultant advise one should not buy this type of properties. 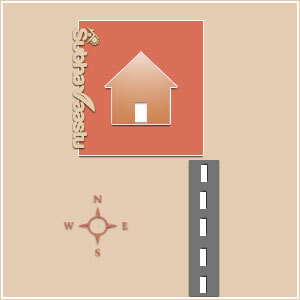 If the property is 90 degrees as per compass, then this street focus may not said to be the good one. In this figure the street thrust is indeed on SSE side, however, the house would be bestowed with partly SSE and partly Southeast street thrust. If however, the street extends beyond (thus making the street starting from SW) it bodes ill to the residents, see the above image. In such a situation the street thrust may be divided into two parts comprising of southeast street thrust and SSE street thrust. By observing the basic principles of avoiding the ill effects of SE street thrust, during construction we will be left with only the good effects of SSE. Another image : This is south facing house and is having Southeast-south road focus. Becareful when you requires to buy this, if there is no properties towards South then adverse results may applies to this property, if this property is having any kind of Northeast extension then the residents will enjoy more good life. This house is having same Southern Southeast street focus, and the same road passing through East before this house. The residents should use only this SSE road. 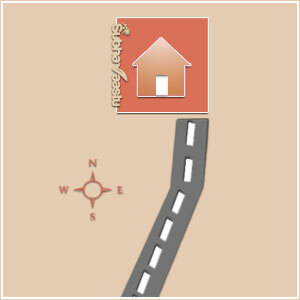 This house is having SSE street focus and its having a street towards North, this is auspicious one, though its good one but residens should take the right recommendations from the vasthu scholars before selecting to buy the properties. After seeing many types of street thrusts what do you feel, that is why many best vasthu experts never give the answer to the residents who called and asking questions on vaasthu shastra road hit properties. There are many more types of shula, every thing cannot be described by any body, we should not forget about the surroundings information. 2. good progress in their educational fields and hence greater earnings. 9. If families with female issues due for marriage but getting delayed live in such houses, it is very likely that they would get good alliances and early marriage too. 10. in such houses generally female folk will have lively disposition. 11. if in such houses eastern portion is kept vacant, men folk may enjoy name and fame. 13. Generally society will be favorable disposed towards the residents. Residents may even enjoy leadership in the society. 14. In such houses if ever there be open space towards Southwest and either street thrust or frequent walking movements in ESE area of the house, the head of the family may suffer heart ailments or loose one’s self esteem due to sudden developments. Earnings will disappear too soon to grasp the event. 15. unnecessary tensions, unable to hold on to the promises made, usually large expenses, ill health leading to frequent visits to doctors could be the results. Possibility of murders or committing the same may not be ruled out. Since evil things will be compounding what ever be mental strength depression will surely the result. The above is the flash file, which is visible in desktop computers only. To safe guard our website visitors we hide some of the important information on Parihara for soolas here. The elders or experienced people knows why we hide the facts here. 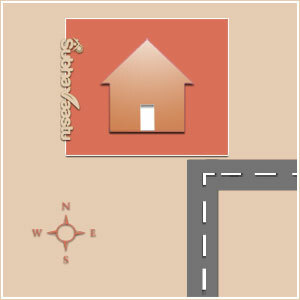 Is doors played a vital role in Vastu Shastra? 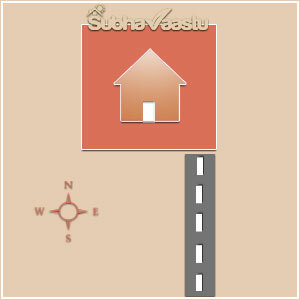 How vastu helps to get good occupancy in Hotels? Is there any simple way to find the directions of a property? Some are always having debts, what are the reasons for debts? How to fix the Western Commode in our toilet as per vastu shastra rules? 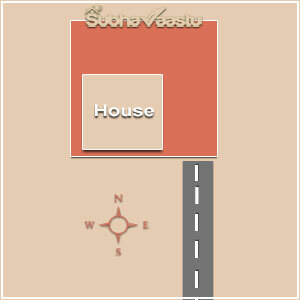 I would like to learn some thing on Back yard vastu, where can I get info?